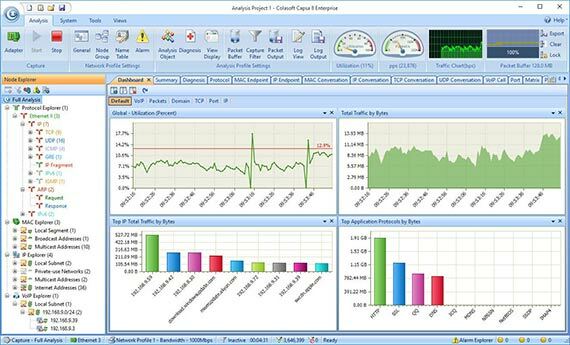 Capsa Free is a network packet sniffer (network analyzer or network sniffer) designed for network monitoring and troubleshooting. It performs packet capturing & decoding, network monitoring, reliable network forensics and automatic diagnosing. By giving you insights into all of your network's operations, Capsa makes it easy to isolate and solve network problems, identify network bottleneck and bandwidth use, and detect network vulnerabilities.